General Questions about all programs, memberships, policies and procedures. You should use these with your clients, send them out in advance of your meetings. You can send it digitally or have it printed out and hand or mail it to your clients. You can change things, add things in and take things out. These are specifically designed to be flexible to each coach and client’s needs. You will need to leave the copyright in place and notate the changes that you made. You are welcome! I hope they bring lots of prosperity and health to your business. How Should I Charge for My Programs? We do not have a retail price plan. You should price your program with a base value + your costs + your profit. In the costs, you should include the time you spend with your client as well as the time that you spend preparing for your client. This program should help to cut down on the latter. If you are selling a 6-month program, you may want to figure up how many times you meet x’s your hourly rate. If your rate is $125 and you meet 12 times, then a reasonable cost for your time would be $1500.00. If you have additional give-aways that total $300.00, then your total price for a 6-month program might be $1800.00. However – your 12-day detox may be a “loss leader” to pull in new six month clients. In that case, there have been several health coaches who have done well with a $99 introductory price point. (Self-guided and one 15 minute meeting to move up to a 6-month program). I Am A Certified Wellness Coach, And I Am Very Interested In Purchasing One Of Your Programs But Wonder If They Are Only For Integrative Nutrition Graduates? Our programs are meant to be used by all qualified health professionals, including but not limited to health coaches, nutritionists, dietitians, qualified personal trainers, psychologists, nurses, physicians and chiropractors and life coaches. 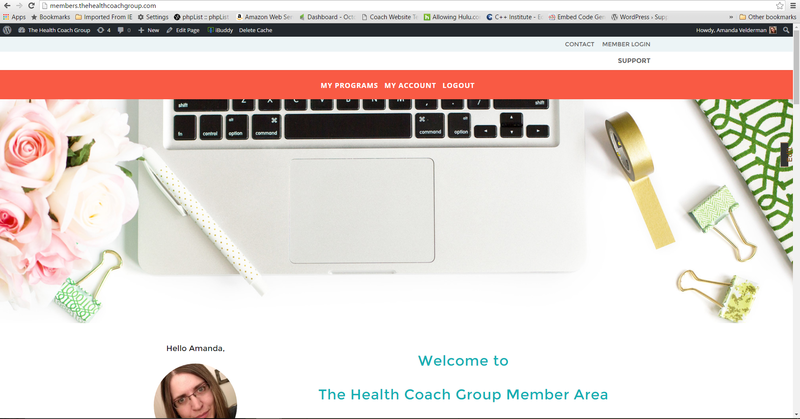 Log in at our member’s site members.thehealthcoachgroup.com . Make sure to use the email that you purchased the products with to log in. *Note: If you previously accessed your materials at the main site, the login will NOT be the same for the members site.